We have always been closely related to music, even before The Secret Agents started. Indra Ameng have managed bands and is still doing it, managing White Shoes & The Couples Company, this very moment. Each of us has organised music events, both live gigs and rock DJ shindigs. There was even a time when Keke was better known as DJ Keke, much to her own surprise, and was requested to play at most of the "indie" music events back then. They were both closely related to legendary events such as Monday Mayhem, Thursday Riot, and other 'still-being-talked-about' events at BB's (R.I.P). The Secret Agents may have started as a photography project, in the contemporary art department and such, but their love for music have led this perfect partnership into a collaboration in the music scene as well. They have no musical talents, and can only sing at karaokes, so what they do in music is organise gigs. A monthly live alternative/independent music event by The Secret Agents since 2008. Now held at The Jaya Pub (the oldest pub in town where, live music performances of all kinds of music were held, since 1975; from jazz, blues, to pop, but mainly rock). "Superbad! "'s mission is to showcase good independent local talents; from the very new freshly squeezed ones, to those who are already well known in the local indie scene; giving them space where they can perform for the music loving folks of Jakarta and the surrounding areas. Last April (2013), The Secret Agents celebrated the 50th "Superbad!". A couple of years after it started, the determination to continue doing the show regularly each month paid off. The crowd grew immensely, multiplied 3x from the numbers in the beginnings, and new faces keep showing up. From 2008 till now, most of the best (indie) bands in Jakarta and her surrounding cities (Bekasi - Bogor - etc), plus Bandung - Jogjakarta - Bali - others, have given their most excellent performances on the tiny old stage of Jaya Pub... In "Superbad!". Besides local bands, there have been a number of international acts that have performed in "Superbad! ", such as: The Whitest Boy Alive (twice! ), The Cambodian Space Project (Cambodia), and 9 Maps (Hong Kong). The Secret Agents became involved with RRRec Fest in 2012, when they helped organise its second event, as well as acted as the curators for it. RRRec Fest #2 was a festival on its own, whereas the first one was a sub-event in the 10 year anniversary festival of ruangrupa (Decompression #10), at the National Gallery. The Secret Agents chose the bands and venues, contacted the bands from other countries, created the concept of the event, the event booklet, the designs, with the help of their talented friends and, of course, ruangrupa. This arrangement goes for all RRRec Fest events, including RRRec Fest: The Showcase, since this second one. RRREC Fest is dedicated to the invention, creation, and promotion, as well as to sustain creative ideas and spirits from local and international musicians/bands/performers. We, all whom are involved with the production of RRRec Fest, decided to create a music festival that is based on social and cultural consciousness in order to make a platform in developing a meeting point. It is also an effort to open up the network between musician/band/performers around Southeast Asia and other regions. RRRECT Fest #2 was held at Cikini Raya avenue, Central Jakarta. This area is important site in Jakarta. Cikini Raya has a good and complete infrastructure for the citizen. This site possess historical value for Jakarta. It has good walking paths for pedestrians, various restaurants, hotels, cafes, patisseries, and most importantly, it has the Jakarta Arts Center; Taman Ismail Marzuki (Ismail Marzuki’s Garden). Taman Ismail Marzuki (TIM), developed in late 60’s, is an important historical site to art and cultural development, not only for Jakarta but also for the whole of Indonesia. This is why Cikini is a perfect site for the festival. RRRec Fest #2 was a 3 day festival and takes place at 5 different locations around Cikini Raya area. RRREC Fest’s main program was a music concert, accompanied by movie screenings (ruru.mov’s program) and bazaar that sells art products from Jakarta’s young artists and creative students. 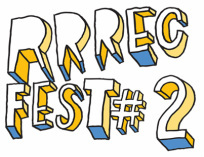 For more information on RREC FEST #2, click the button below! Before RRRec Fest #3, ruangrupa presented "RRRec Fest: THE SHOWCASE!". Like RRRec Fest #2, the main program of RRREC Fest: "The Showcase" is a music concert, accompanied by supplementary programs such as film screenings and a bazaar that offers products of creativity, plus works by upcoming artists and art organizations / communities / groups, as well as students of Jakarta. The bands performing in this showcase; namely: Sigmun, Hightime Rebellion, Jirapah, and Sentimental Moods; are amongst those who are still considered new in the local music scene and have yet released their first full albums at the time. 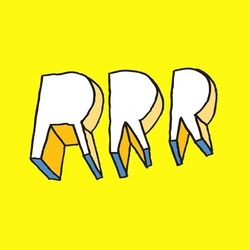 RRREC Fest is dedicated to finding, displaying, promoting, uniting, spreading, and keeping the flow of creative ideas and the strength possessed by musicians / bands / performers, together with local artists. We choose to held this music festival, with the cognizance of creating a platform for the creation of a meeting point between artists from various backgrounds (especially fine art, music, and film), between artists and their public; also to develop this small scale event into a one of its kind occasion that can inspire people. Like the name of this festival, RRREC Fest (ruangrupa "Record") is intended to record or document the spirit of the contemporary local music generation, in audio as well as in video or any form of visual imagery, and also to create a memory that will be recorded within the soul of every music lovers attending this event. For more information on RREC FEST : THE SHOWCASE, click the button below! The third RRREC Fest was again held for 3 days around Cikini Raya in Central Jakarta, including a "SUPERBAD!" event in Jl. MH Thamrin. The concerts were held in four existing venues, namely: legendary bakery Tan Ek Tjoan, The Jaya Pub, and Teater Jakarta square. The event also comprised of film screenings at kineforum and a talk show in Kedai Tjikini. The festival combines indoor concerts in cafes and pubs, with an outdoor one at the Teater Jakarta square (TIM). Aside from being RRREC Fest #3's overall curator and art director, The Secret Agents (Indra Ameng and Keke Tumbuan) also invited a few artists and a collective to act as co-curators for each stage/venue, such as: Cholil Machmud (musician), Studiorama (sidestream music collective), and Wok The Rock (artist and founder of YesNoWave Music net label). With six varied stages, indoor and outdoor, this festival featured about 25 local acts from all around Indonesia (and 1 experimental musician from USA) from all kinds of genres; as well as collaborative artworks of local contemporary artists. RRREC Fest was starting to make its name as a true alternative music and art festival.